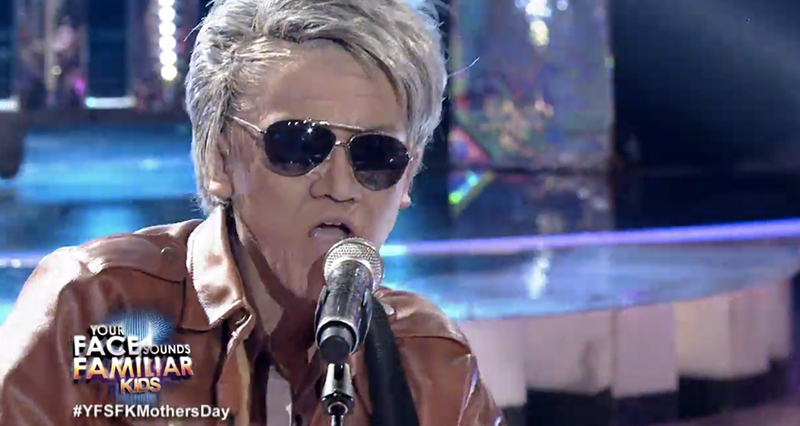 With the total score of 23 stars, Your Face Sounds Familiar Kids Week 2 winner is Noel Comia Jr. with his transformation of Pepe Smith. 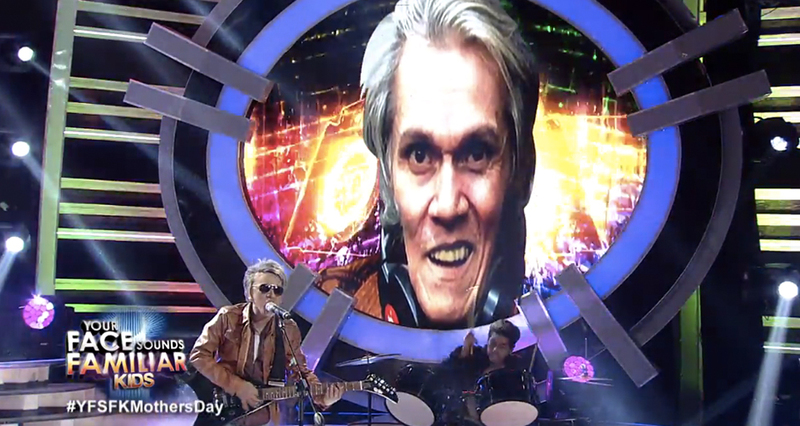 During his her transformation of the OPM Rock Icon Pepe Smith he performed Beep Beep. He won Php 50,000 for this round and Your Face Sounds Familiar Kids medal, and his chosen charity receives Php 50, 000 worth of Lampara books. 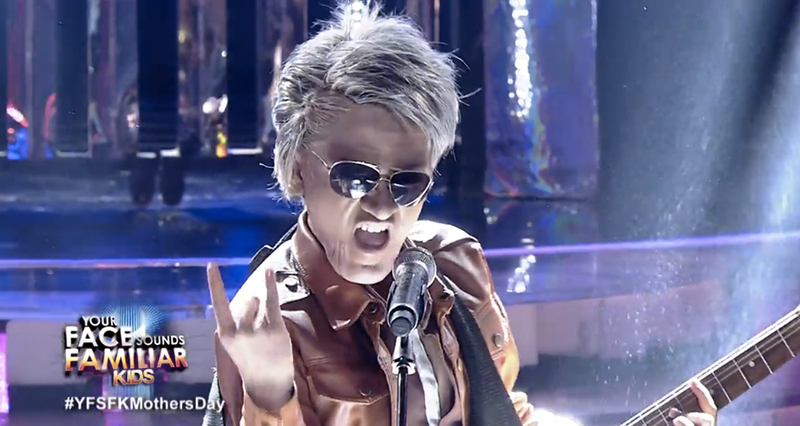 During the week 2 of Your Face Sounds Familiar Kids, Chunsa Jung transformed to Sandara Park, Francis Concepcion, Mackie Empuerto and Kiefer Sanchez aka TNT Boys transformed as APO Hiking Society, Sheena Belarmino as Whitney Houston, Marco Masa as Moira dela Torre, Esang de Torres as Cher, Onyok Pineda as Apl. de. Ap, and Krystal Brimner as Stevie Wonder. Your Face Sounds Familiar Kids jury includes Sharon Cuneta, Gary Valenciano and Ogie Alcasid. Nyoy Volante and Jed Madela are helping the kids on their transformation. Billy Crawford is hosting the show that airs on ABS-CBN every Saturday after Home Sweetie Home and Sundays after Wansapanataym. Next Article Tawag ng Tanghalan Season 2 Quarter 4 Semi-Finals kicks off!